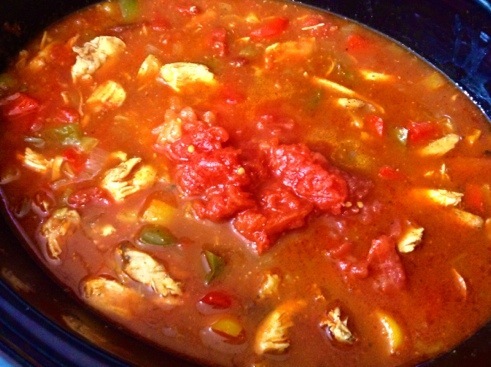 I have always loved Chicken Tortilla Soup, especially during the winter season! I fix a lot of Mexican dishes at home, perhaps because we love bold flavors or maybe it is the availability of authentic Mexican ingredients here in Phoenix. But I lean toward the most obvious of reasons – the sheer simplicity (generally anyway; see Mole Chicken Enchiladas). Over the years, of course, I’ve had a several variations of this recipe and even in my search for the “perfect” recipe, I had many from which to choose. Fortunately for us (and all whom I shared this delicious, spicy, hearty concoction), as the most ideal recipe, I wound up choosing from one of my favorite food bloggers, The Pioneer Woman. As usual, I did decide to modify it somewhat, namely the fact that I chose to break out the Crock Pot instead of fussing over a hot stove. Nevertheless, she deserves attribution (or credit) for the primary ingredients and outstanding whit through which she introduced this fantastic fare. So thank you, Pioneer Woman for inspiring me to “sink my teeth” into a soup that I have never attempted to make on my own. Even better, this recipe could not be simpler since it was made in the crock pot, leaving me to focus on other things while dinner cooked by itself. Hot chicken tortilla soup is a wonderful way to end a working day or fight off the chill. 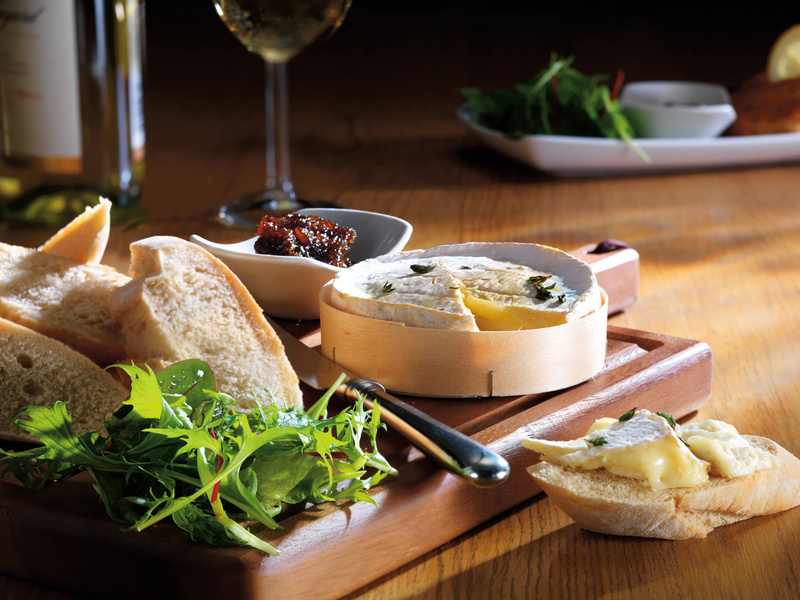 And it’s even better the following day (albeit much spicier – you’ve been warned! ). 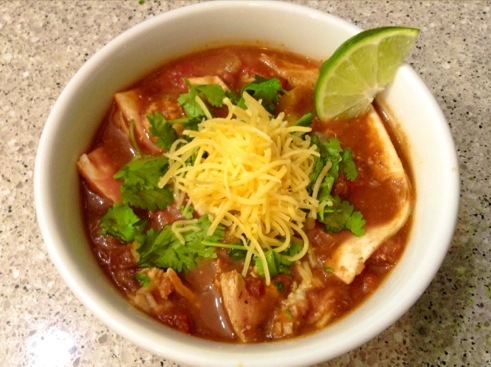 Crock Pot Chicken Tortilla Soup. Oh so spicy and good! 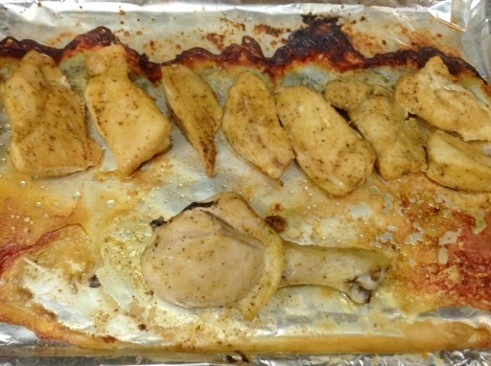 For starters, cut each chicken breast into halves and space them out on a baking sheet. Then modestly season each breast with garlic salt and pepper and drizzle them with a little olive oil. You can afford to be sparing with the garlic salt and pepper since the taco seasoning that will be added to the diced peppers and onions will likely be enough (of course we will spice up quite a bit with the chipotle peppers and adobe later!). Bake the chicken breasts into the oven heated to 375 degrees for about 20 minutes, or until golden brown. 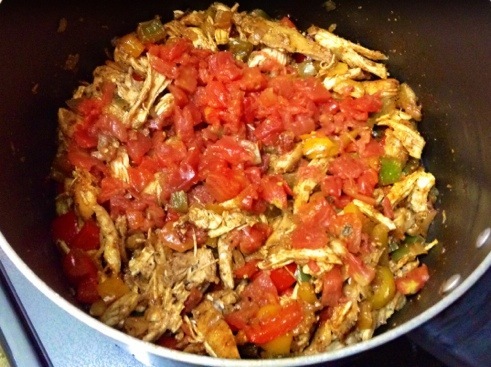 Once finished, shred the chicken apart using two forks and place aside for now. Dice all peppers and onion into 1/2″ pieces (bigger pieces make for a chunkier soup) and sauté in a medium pan with olive oil. Add the taco seasoning and 1/2 teaspoon of black pepper. 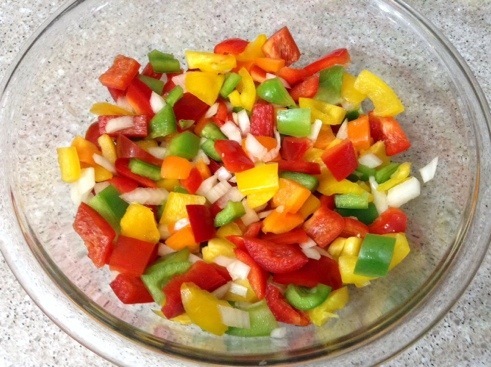 Cook the vegetables slightly until they are aromatic and softened but avoid over-cooking them as the process will continue once the soup gets going in the crockpot. While the chicken bakes and the peppers cook, pour the chicken stock into the crockpot and set it for the amount of time you’d like. I recommend 4-6 hours. 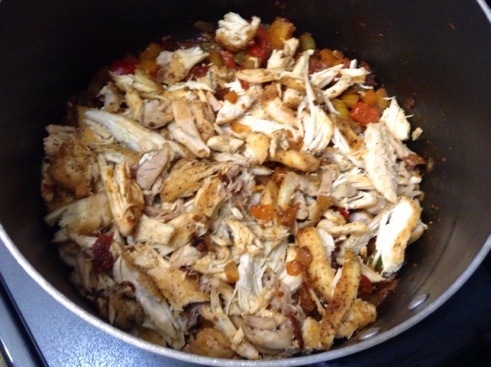 Add the cooked diced vegetables to the chicken broth, followed by the shredded chicken, tomatoes and chilies, chipotle, hominy, and another four cups of water. At this point you can really just leave it be or you can add the refried beans as your thickener now. Note: You may choose to add a can of whole black beans instead of refried beans but I preferred it this way as the soup was plenty hearty without them. In a medium saucepan, heat the turmeric, cumin, and saffron over low heat until fragrant and while continuously stirring. Add the water (or chicken stock), salt, and butter and bring to a boil. Add the rice and give it a good stir. Then cover it and lower the heat allowing it to simmer. Cook while covered until all liquid is absorbed and the rice is tender, or about 20 minutes. 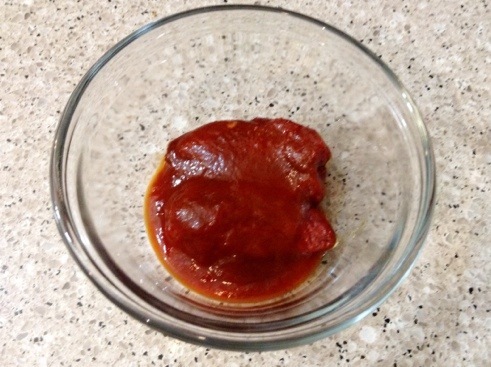 Remove from the heat and allow it to sit covered, without stirring, for 10 minutes. 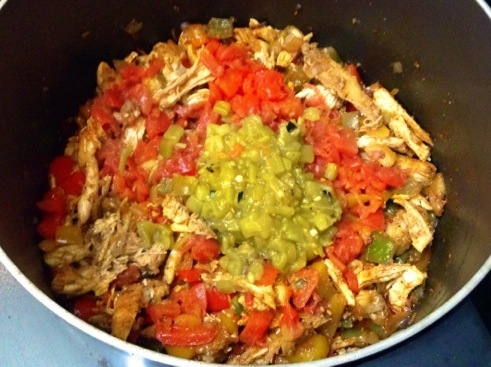 Once fully cooked, fluff the rice with a fork and serve in the soup bowls before adding the tortilla soup. Finally, this dish would be incomplete without the actual tortilla strips but should be added to each filled bowl as opposed to allowing them to disintegrate into the still cooking soup. Cut five or more flour or corn tortillas into strips 1/2 inch in width. Add a few strips to each soup bowl and add your finishing garnish touches. I chose lime and cilantro with a nice heaping of shredded cheddar but avocado or sour cream would be excellent as well (and would help to cut some of the spicy chipotle which may be overwhelming for some). And that’s it! 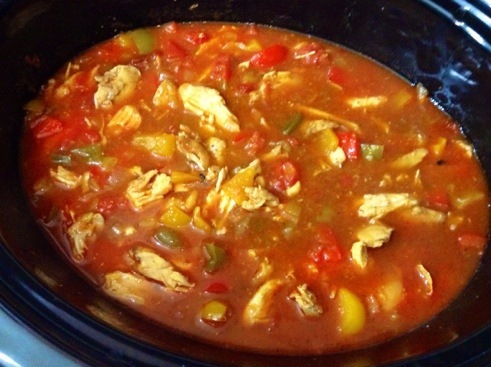 Easy Crockpot Chicken Tortilla Soup on a cold winter day! Savor my friends! 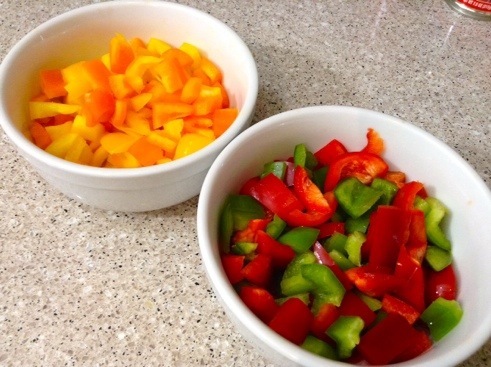 Beautiful diced peppers – add yellow and orange bell peppers for great color! Mix in a cup white onion. 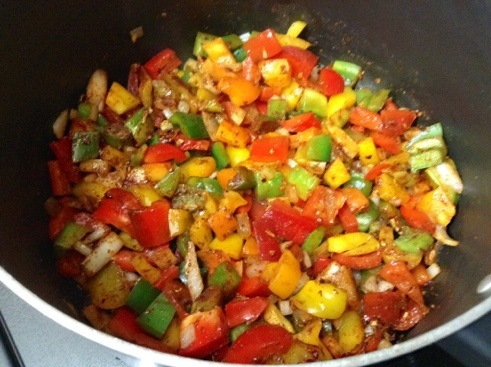 Sauté the peppers and onion with a little olive oil over medium heat. Add in taco seasoning and cook until softened. 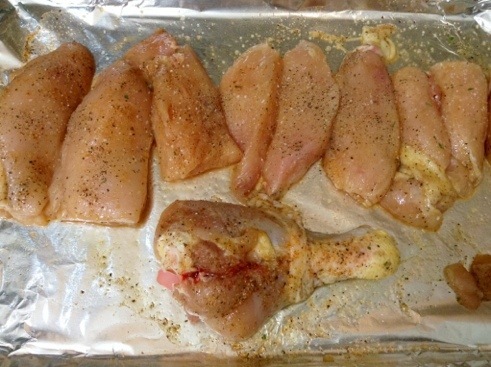 Split the skinless chicken breasts and arrange on a baking sheet. Drizzle with olive oil and bake for 20 minutes. And cook chicken until golden brown…I also included a chicken drumstick for additional flavor. 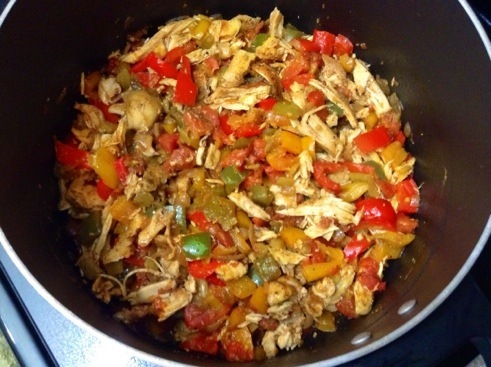 Once cooked, pull chicken apart using a couple of forks and toss it into the peppers. 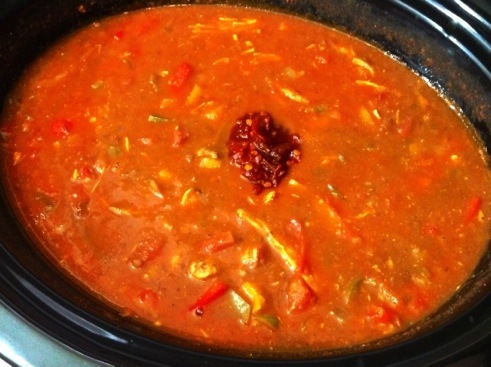 The can of tomatoes and chilies are now added. Remember to give everything a good stir. And more chilies…I like it chunky! Once everything is combined and fragrant, we’re ready to add it to the crock pot. 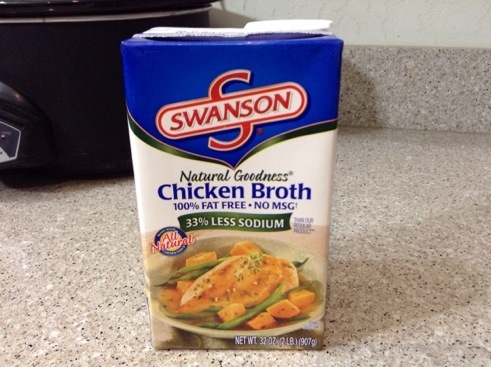 Using chicken stock makes the soup richer and brings out all those great flavors! Now everything is added to the chicken stock in the crock pot. 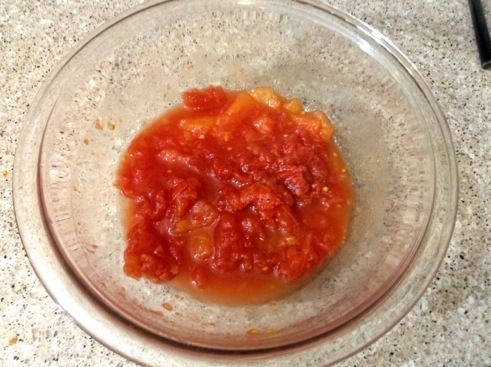 A few crushed plum tomatoes for added texture and color. 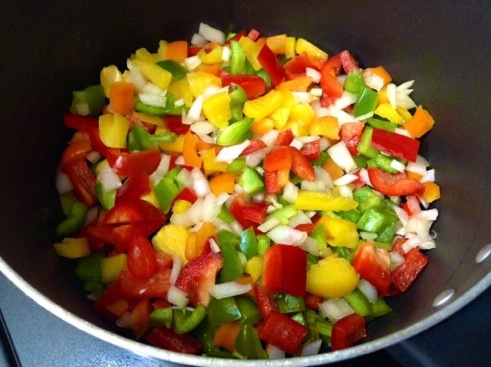 Add tomatoes to the cooking soup. 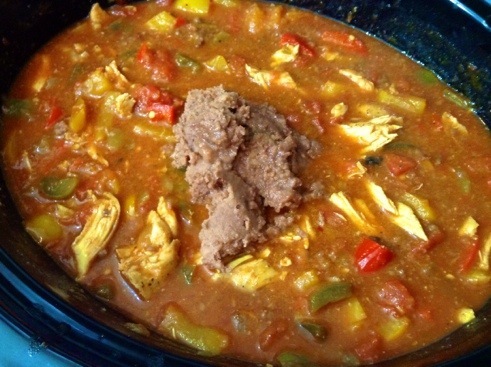 I used black refried beans for a great thickener without the need to use corn starch. 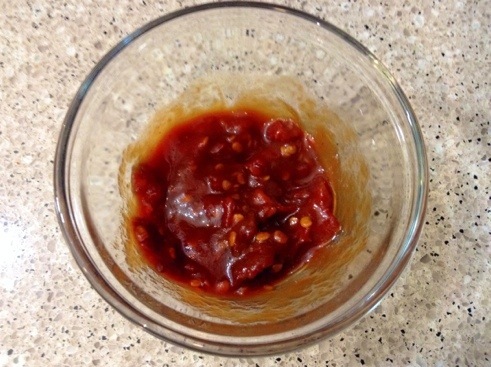 Two chipotle peppers is just about perfect for that extra kick! Tear apart the chipotle peppers using a fork. Be careful to avoid eye contact. And add the chipotle in adobo to the simmering soup. I chose flour tortillas but you can use corn if you prefer. 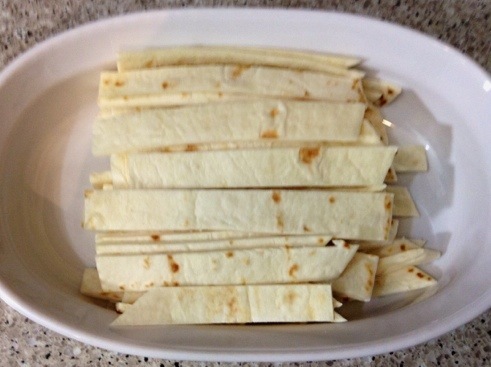 Cut 5-6 tortillas into strips about 1″ in width. 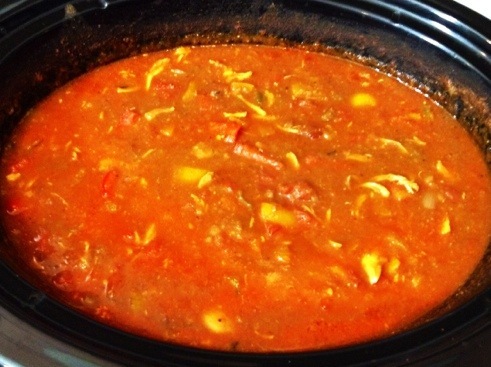 After a few hours in the crock pot, you’ve got a delicious soup that will easily serve eight to ten people. Also perfect for leftovers. I love this soup the day after! If you made the yellow rice, add it to the bowl first and ladle in the soup. Add tortilla strips and garnish with your choice of sour cream, avocado, cheese, cilantro, and/or a maybe a little lime. 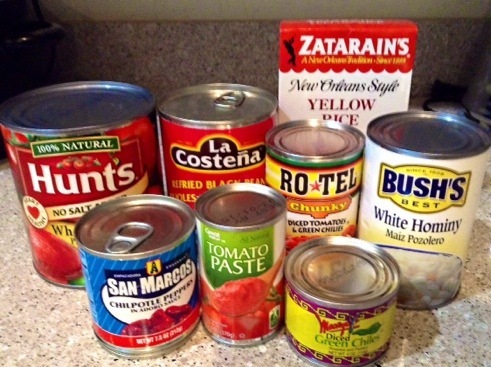 This soup can be made entirely on the stove top or by using the crock pot. I did a little of both but chose whichever is easier for you and your schedule. The next day this soup shared with my partner’s co-workers and was regarded as the best some them had ever had! High praise indeed coming from those who know Mexican cuisine. I’m sure it will be a hit with your family and friends as well. Savor!